Gripple is a market leader in the joining and tensioning of wire, renowned for providing cost effective solutions for a variety of fencing applications. 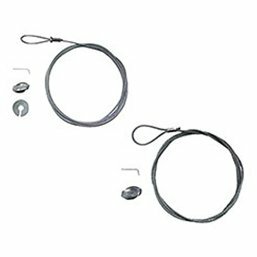 Gripple products are compatible with a wide selection of materials including mild and high tensile wires, barb and line wire, and are perfect for traditional stock fencing or electric fencing applications. 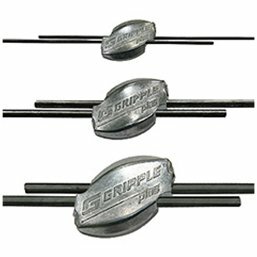 With Gripple, you are guaranteed to save on time and labour with their innovative joining and tensioning products. 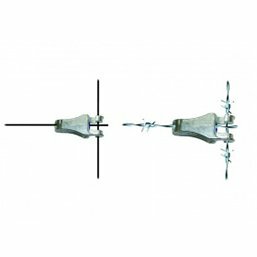 The Gripple Plus is a range of wire joiners and tensioners for all types and sizes of wire. They allow you to join and tension in one - much faster than tying and knotting wires! They have high load holding, feature a high grade ceramic roller for optimum corrosion resistance and can be re-tensioned year after year. Gripple Plus makes light work of join high tensile wires in stock netting and line wire systems. Gripple Plus is available in small, medium, large and jumbo sizes with varying load pressures. The Gripple TClip is a quick and easy way to tie-off at the start or end of a fence. It’s up to 5 times faster than traditional knotting and is ideal for awkward, tight spaces (particularly horse fencing). Thanks to its simple twist and push fit, it is ideal for use with very hard wires where knotting is often cumbersome. Gripple T clips also make quick work of tying off when using with Clipex staYfast strainers. The Gripple GPAK is a ready-to-use fence bracing kit which rapidly reduces installation time. It is made from a high grade, alu/zinc wire rope coating for maximum corrosion resistance and is ideal for fence bracing, trellis anchoring and structural bracing of poly-tunnels and Clipex strut configuration. Available in the Gripple range is also a selection of fencing tools which help make even lighter work of jobs! Available as a standalone tool, or as part of a Gripple starter pack, the Gripple Torq Tensioning Tool not only tensions wire but regulates the load applied too, delivering consistent results and maximising the life of your wire. 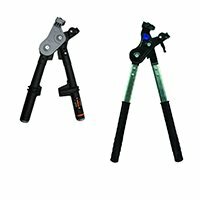 The professionals choice is the all steel long handled contractor tool , which provides a 10:1 mechanical advantage. Watch the videos below to see for yourself just how easy the range of Gripple products are to use and to get an idea of the amount of time and effort saved using these ingenuous products!